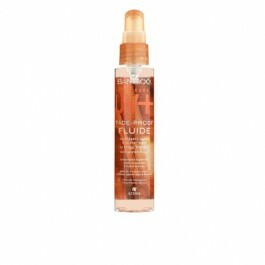 Gentle sulfate and sodium chloride free cleanser nourishes hair while maintaining healthy vibrant color. 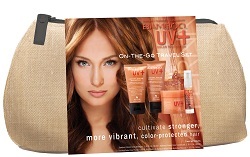 With rinse-resistant Color Hold® UV+ Technology for the highest level of color protection. Paraben and sodium chloride free conditioner infuses hair with nourishing moisture & vital nutrients to keep it strong & healthy with beautifully vibrant color. With rinse resistant Color Hold® UV+ Technology for the highest level of color protection. 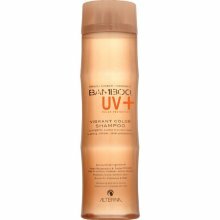 Weightlessly shields hair with a UVA/UVB barrier to fade-proof color while enhancing vibrancy & multi-dimensional shine. With rinse resistant Color Hold® UV+ Technology for the highest level of color protection. 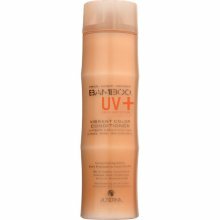 The Alterna Bamboo UV+ On The Go Travel Set contains everything you need to protect your hair colour and maintain strong healthy hair. 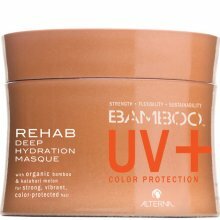 Each product contains Bamboo extracts with the unique colour hold technology that works in balance to retain vibrancy. © 2012 Jarrod Hair Salon. All Rights Reserved.